It is with great sadness that the family of Betty Lou Kerns Smith announces her homegoing on February 8, 2019, at the age of 81 years and seven days. She was born in Kilgore, TX on February 2, 1938. Betty was a member of the Choctaw Nation of Durant, OK. Her grandparents and family were a part of the Trail of Tears and later settled in Kilgore, TX during the great oil boom. Betty and Ed moved to Leesville in 1968 with their three girls and became members of Emmanuel Baptist Church. They soon reopened South Park Baptist Church where it grew, and they helped build the new building that is still doing the Lord’s work today. She was a cook for the Vernon Parish School Board at West Leesville Elementary for many years, but the highlight of her career was working in the summers at the Louisiana Lion’s Camp. Her life changed when the grandkids were added. She was known by “Granny Betty” and “Betty Boop”. She will be fondly missed by her legacy of 11 grandchildren, 22 great grandchildren, and 1 great-great grandchild as well as many family members and friends. 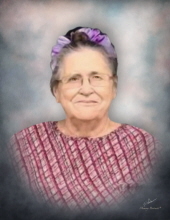 Betty was a member of Walnut Hill Pentecostal Church in Hick, LA. Mother loved the song “Going Home” and “Dancing in the Sky”. It gives us great joy to know she is there, and she loved to dance before the Lord. She was preceded in death by her husband, Reverend Edward Smith; mother, Letty Ford Kerns; father, Ralph Kerns; three brothers, Kenneth Kerns, Paul M. Kerns, and Robert Hall; grandson, Christopher Rush; and son-in-law, Larry Ormsby. Pallbearers will be Keith Clay, Michael LaCaze, Mike Helbing, Derek Toro, Julio Toro, and Brandon Crews. Honorary pallbearer will be Joe LaCaze Jr.
A graveside service for Mrs. Smith will be held at 2:30 p.m. on Sunday, February 10, 2019, at Laurel Hill Cemetery under the direction of Jeane’s Funeral Service. A visitation time for the family and friends of Mrs. Smith will be held from 6:00 p.m. to 9:30 p.m. on Saturday, February 9th at Jeane’s Funeral Service. To send flowers or a remembrance gift to the family of Betty Lou Kerns Smith, please visit our Tribute Store. "Email Address" would like to share the life celebration of Betty Lou Kerns Smith. Click on the "link" to go to share a favorite memory or leave a condolence message for the family.